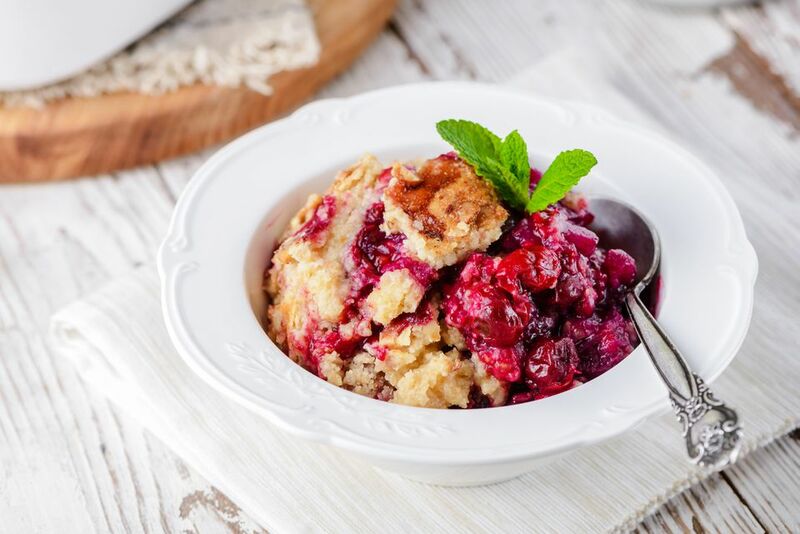 A dump cake is very similar to a fruit cobbler in that it is made up of a fruit filling topped with a cake-like batter. The recipe is named after the technique you use to make it, which is basically dumping everything into a pan before baking. A dump cake is an ideal recipe for kids since there is no mixing or difficult techniques involved. Canned fruits are dumped into a baking pan, topped with cake mix, butter, and nuts, and then baked. The result is something in between a cake and a cobbler, and amazingly delicious. It may be perfect for kids but adults will also love this recipe. Preheat oven to 350 F (325 F for a glass baking dish). Have a 9- x 13-inch baking pan ready. Dump undrained pineapple into the baking dish and spread it out evenly. Sprinkle nuts on top, if you're using them. To serve, scoop out cake out with a large spoon onto a plate. This cake can be served warm or cold. If you prefer to eat the dump cake cold, place in the refrigerator after it has cooled until chilled. Leftovers can be stored in the refrigerator for a few days or frozen up to 3 months. Thaw a frozen dump cake in the refrigerator and slowly reheat in the microwave for 30 seconds and then in 10-second intervals until warm. This combination of pineapple and cherry may be a big hit with the kids, but there are plenty of other dump cake versions to try from peach, pear, apple, pumpkin, and blueberry. For a twist, consider adding coconut or nuts as well. Serve with a scoop of vanilla ice cream or topped with whipped cream.